You will need Node, Yarn, ngrok and Expo installed on your machine. Some knowledge of React Native development is required. 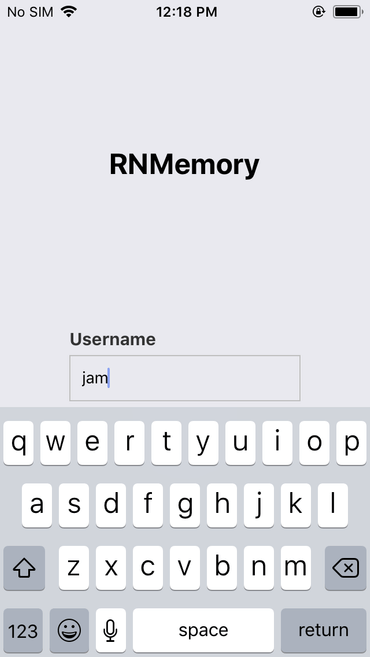 In this tutorial, we’ll build a realtime memory game app with React Native and Pusher Channels. Basic knowledge of React Native is required. To easily test the app on multiple devices, we’ll be using Expo to create it. Be sure to install their Android or iOS client apps. Log in to your Expo account on both the CLI and client apps. Create one if you don’t have it already. Lastly, you also need a Pusher and ngrok account. We’ll use it to create a Pusher app instance and expose the local Pusher server to the internet. 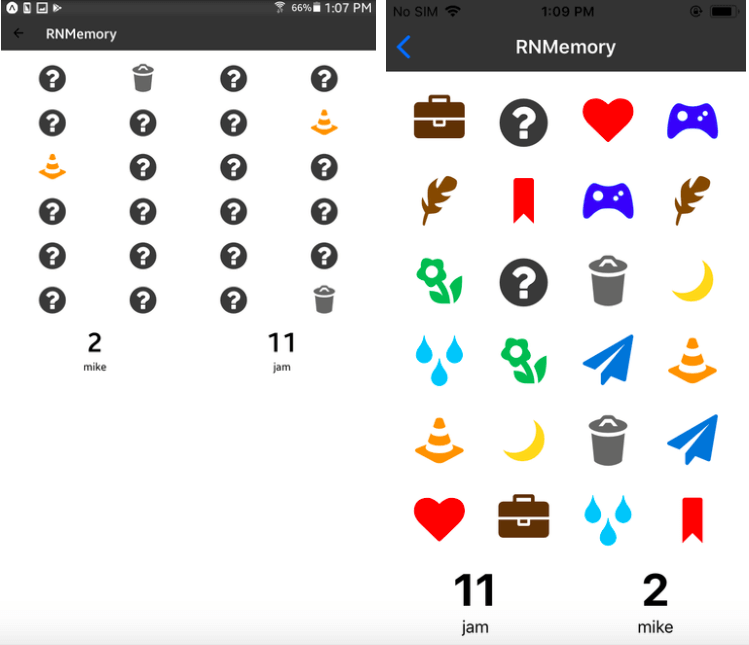 We’re going to build a two-player memory game app. When a user logs in, the app’s server component will pick two random users and they’re the ones who will play. To play the game, users have to click on each one to reveal its content. Users can reveal the content of up to two cards before both of them closes. Once a user has selected a pair, they will stay open for the rest of the game. You can view the app’s source code in this GitHub repo. 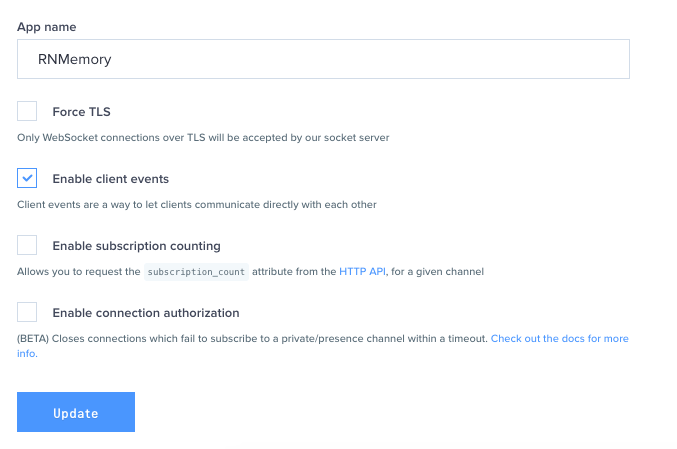 You need to create a Pusher app instance so you can use Pusher’s services. The starter branch contains all the screens of the app (Login and Game screen), helper functions, and the UI components that we will be using. The app screens and the server component are where we will do most of the work. app/screens - this is where the app’s screens are stored. We only have two screens: Login and Game. Only a starter template with minimum output is available in the starter branch. app/helpers - this is where the app’s helper functions are stored. In this case, we only have the shuffleArray.js file. It’s used to arrange the items in the array in random order. This is very useful for changing the location of the cards that need to be guessed in the screen. app/data - this is where hard-coded data is stored. In this case, we only have the cards.js file which contains the definition for the unique cards that the app uses. We’re using Expo’s vector icons so the file contains the name of the icon, the src (for example, FontAwesome), and the color we want to apply to it. app/components - this is where the UI components of the app are stored. In this case, we only have the Card.js which renders the individual cards, and Score.js which renders the score and name of the user. server - this is where we will add the code for the server component of the app. Currently, it only has the .env file which contains the placeholder for Pusher app credentials. Send data to them once an opponent is found. While the game is ongoing, we use it to receive updates of the opponent’s score. When the current user wins, we use it to send an update to the opponent that they lose. Don’t forget to add your Pusher App ID when connecting to Pusher. As for the authEndpoint, we’ll add it later once we run ngrok. // determine who the opponent is, player one or player two? In the code above, we’re listening for the client-opponent-scored event and the client-opponent-won event. The former allows the user to get updated of their opponent’s score. This is emitted by their opponent every time they open a matching pair. 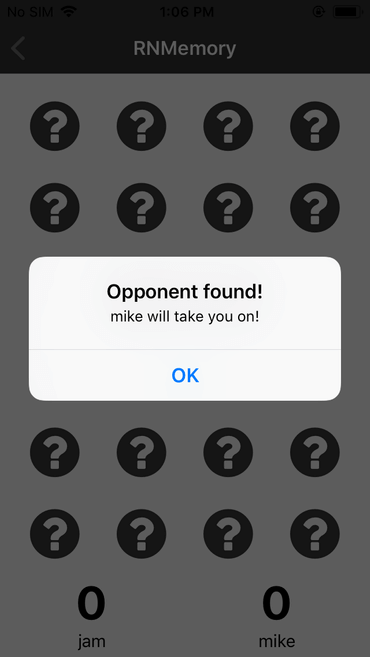 The latter allows the user to get updated when their opponent wins the game. When this happens, we call the resetCards method to reset the UI. This allows both users to restart the game if they want. Now we’re ready to add the server component. This is where we add the code for authenticating users as well as matching them so they can start playing the game. At this point, we should be ready to run the server and expose it to the internet. That’s it! 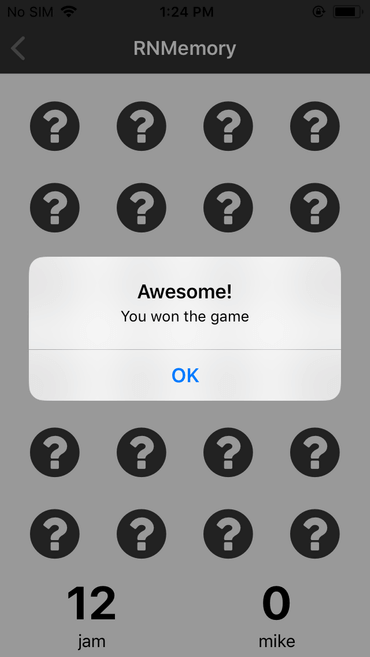 In this tutorial, we created a two-player memory game with React Native and Pusher. Along the way, you learned how to use Pusher in React Native. Specifically, you learned how to emit events from both the server and the client side.